Grappling with yellowed, discolored, stained, or even multi-colored teeth in the Boulder County area? Teeth whitening might be the answer. Such irregularities are usually easy to repair, reverse, or bypass; and, with few exceptions, smile makeover is a smart move! Everyone in Lafayette wants a winning smile. The helpful and knowledgeable staff at Gordon West DDS, Cosmetic & General Dentistry have distinctive, professional experience dating back to 1998. We provide state-of-the-art dental care in a comfortable environment. Let us review the current state of your smile and guide you to a brighter, whiter look. We specialize in cosmetic dentistry, porcelain veneers, and dental implants. See https://www.bouldercountysmiles.com/services/ for more information about our wide variety of dental procedures and services. A home tooth whitening kit is certainly a cheaper tooth whitening option. Meet with Dr. Gordon West and we’ll work the math with you. How many kits would equal the same results from the dentist? 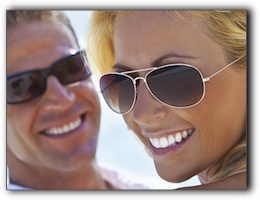 Affordable dentistry is available in Colorado at Gordon West DDS, Cosmetic & General Dentistry. Get clear, manageable answers about veneers, teeth whitening, Invisalign braces, tooth implants, crowns, and fillings. If you want to know how much dental work will cost, including the cost of dental crowns, the cost of teeth whitening, and the price for sedation dentistry – just ask the experts at Gordon West DDS, Cosmetic & General Dentistry! Located at 1140 W South Boulder Rd, Ste 201, Lafayette, Colorado 80026, we’re happily accepting patients from Boulder as well as Broomfield, Lafayette, and Boulder County. For dependable, experienced care, Gordon West DDS is ready. Let’s talk about the most effective steps to light up your happy, genuine smile. You deserve to shine.